Quick Gujarati snack that can please you anytime. It looks simple and easy to make but you need right ingredients in right amount to get the perfect taste and texture. Try it this way and enjoy it. Heat oil and skillet, to it add dry red chillies. Add mustard seeds, jeera, turmeric powder and asafoetida. Mix in onions, green chillies and curry leaves. You can replace onions with potatoes or add both if you want. Let it cook for 5-7 minutes and then add the poha. Lets share and spread our cultural cooking ideas together!! 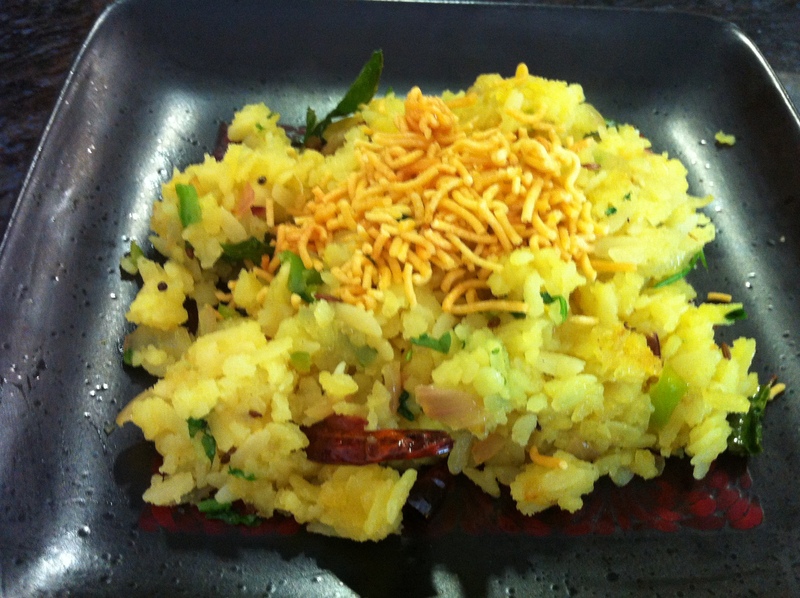 This entry was posted in Kanda Poha and tagged Bataka Poha, Bataka Powa, Indian breakfast, Kanda Poha, Kanda Powa, quick snack, veggie breakfast. Bookmark the permalink.